In 2009, 31,547 runners, or about 75%, came from the top 15 states or countries (43,250 finishers overall). 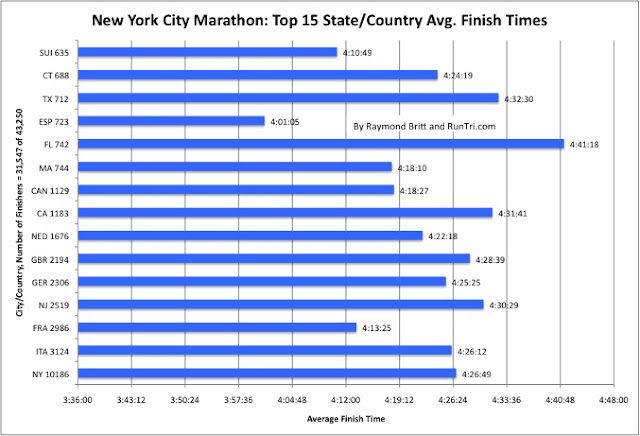 New York State, not surprisingly, had 10,000+ finishers; Italy and France were second and third. Comparing these Top 15 on average finish times (4:24 overall), Spain has the fastest runners, with a 4:01 time, while Florida's runners are slowest at 4:41. 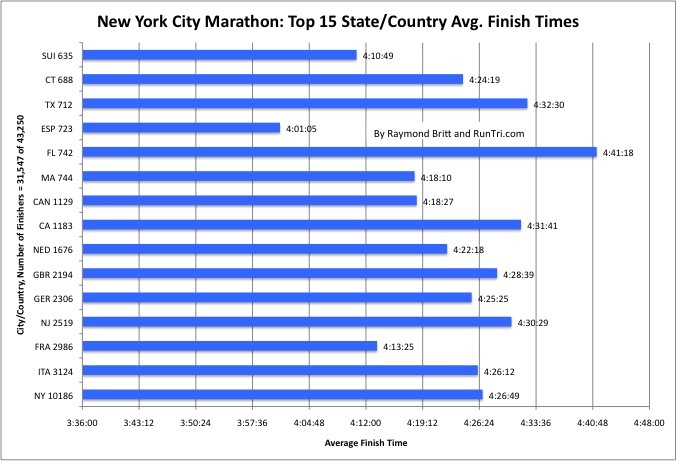 For statistics, analysis and more, see our Complete New York City Marathon Coverage.